The Spanish possessions in the West Indies and the Central American and Mexican coast - was the envy of Englishmen, Frenchmen and Dutchmen from the 16th to the 19th centuries. 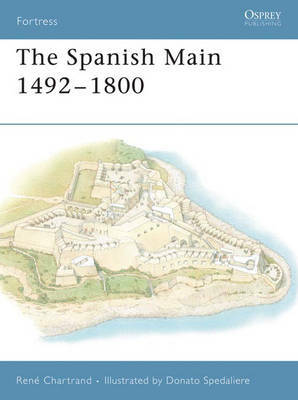 To counter their assaults as well as those of pirates, the Spanish built an outstanding system of fortifications - much of which still stands today. This title will cover the three main periods of development including the first "castles" in Americas based on medieval styles built to protect against marauding adventurers including Sir Francis Drake. Later these forts were adapted to reflect the improved power of artillery. Following the fall of Havana to the British in 1762, the defences of the Spanish Main were revealed as outmoded and a complete reconstruction of them was ordered in the final stage of development as tremendous Vauban-style fortifications were created.